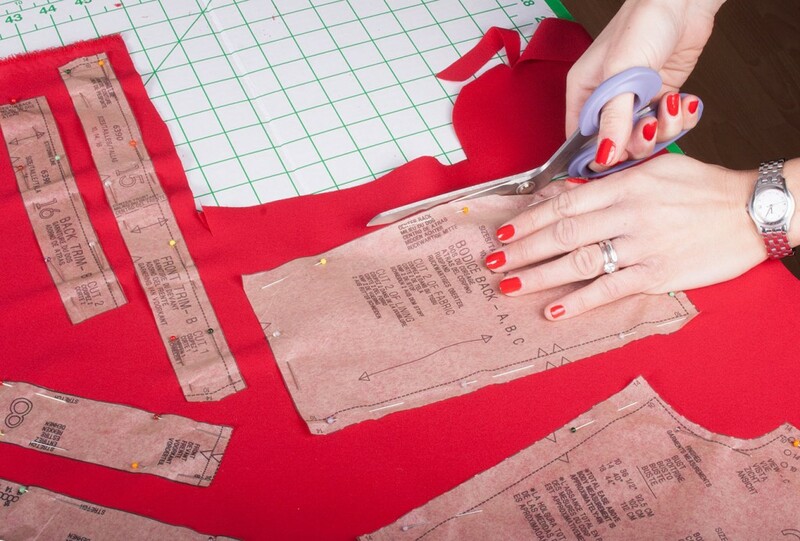 While rotary cutters and rulers can be very efficient when it comes to cutting fabric, they aren’t always the easiest to use for certain shapes. There is nothing better for a fan of sewing than a pair of scissors that glides smoothly through thick and thin fabrics. Then again, there is nothing more annoying than a pair of scissors that won’t do its job. 2. Cutting to Your Design. These appliqué scissors allow me to cut tight against flat surfaces. Since I draw my subject matter onto a foundation fabric and proceed to fill in with small pieces of printed fabric, I often need to trim away some of those shapes when they extend over a drawn line. The paddle-like blade (sometimes called a duckbill) keeps one edge of the fabric away from the blade while pushing the edge you want to cut up towards the sharp blade. 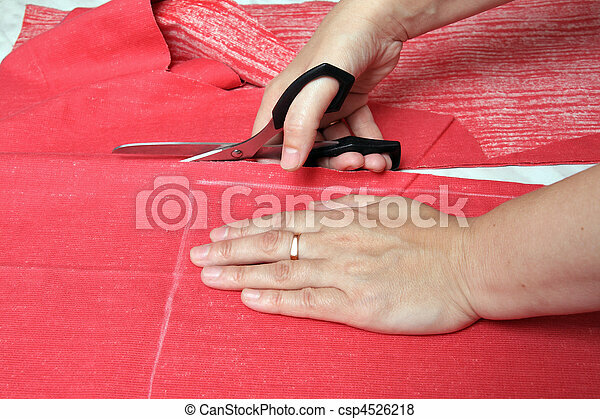 The offset handles provide a good view of the fabric you're cutting.